Rarely does a cosmetic company parley its triumphs in the beauty realm into a legitimate skin care success. 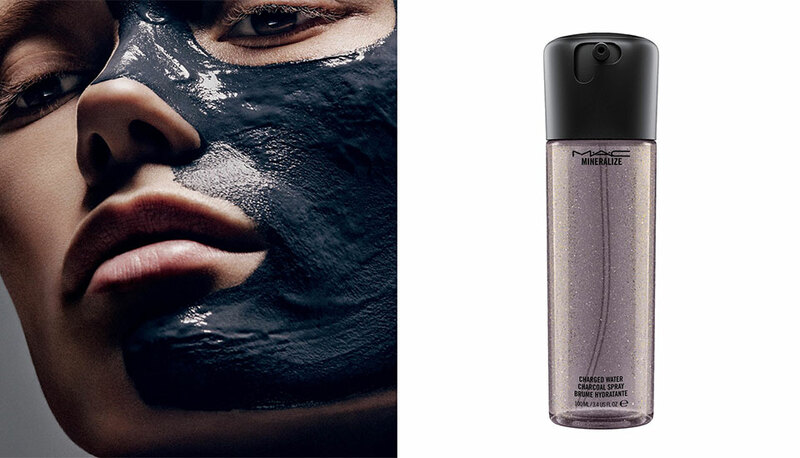 M.A.C., the bold and brilliant makeup giant, hopes to bridge that gap with its new Mineralize line. Two new charcoal-infused products join the Mineralize Volcanic Ash Exfoliator for a detox that will trap and remove unwanted chemicals, clarifying from within for silky, clear, glowy skin. The Mineralize Reset & Revive Charcoal Mask is infused with bamboo charcoal powder and a mineral-rich white clay to purify pores from the inside out, penetrating deeply and eliminating impurities. Mineralize Charged Water Charcoal Spray is loaded with ingredients that immediately re-energize and replenish lost moisture, visibly recharging lethargic skin and creating a perfect canvas for foundation application and an instant rejuvenation. There is some other exciting news from the brand. This month Beautyblender will be available at M.A.C. stores. In addition to the classic pink sponges and Micro Mini version, the regularly sized sponges will be available in black and in white.